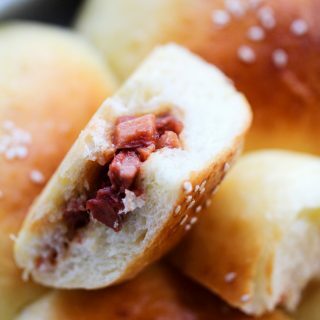 Pillow soft baked char siu buns with homemade char siu. 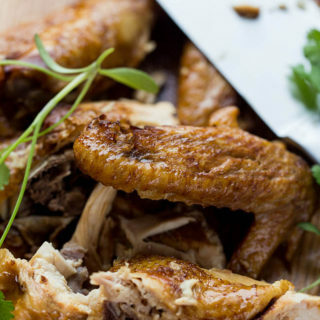 If you ever tasted Char Siu, you will love the well-balanced sweet and savory taste. 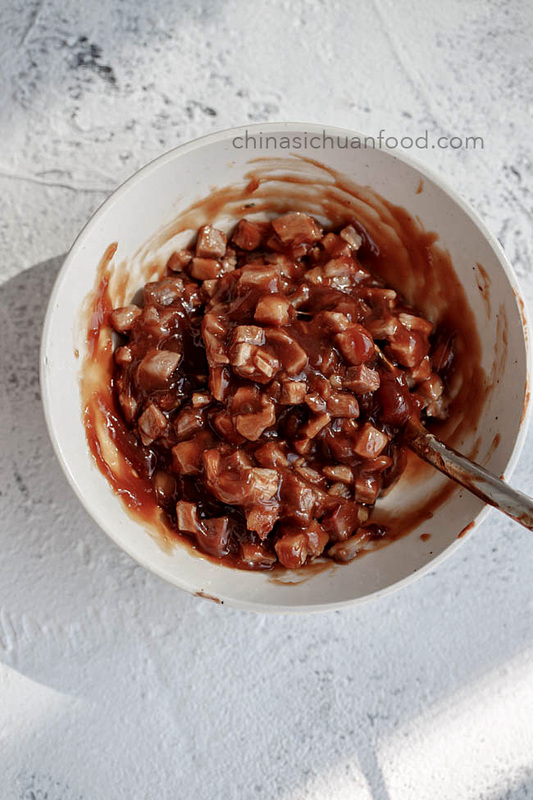 Char Siu pork is important ingredient for many other recipes including Egg Foo Yong, steamed char siu bao and this is another popular baked version. 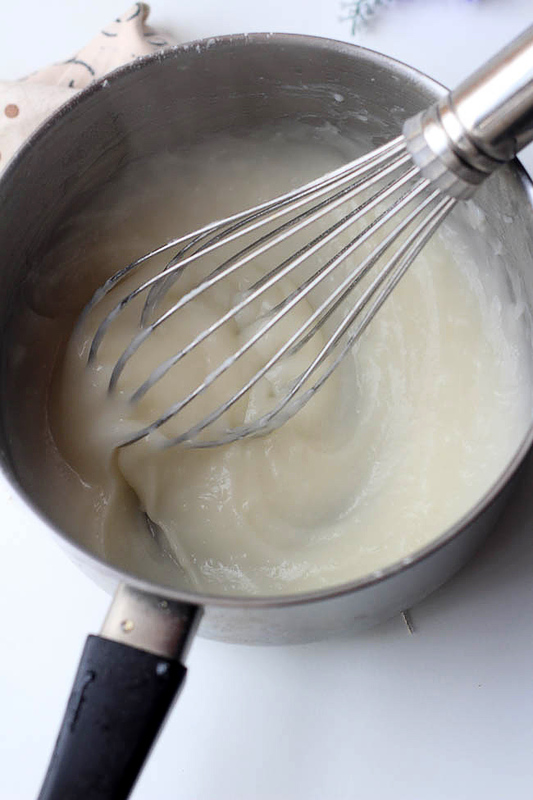 I water roux method, which gives them a pillow soft texture even after reheating. But if you are in hurry and there is no water roux on hand, milk bread dough can also be used as a wrapper dough for this recipe. In a small pan, mix flour with water and then keep stirring over slow fire until the mixture becomes thicker and thicker. And the lines of your spatula or egg whisk will not disappear directly. Remove from heat and cool down. 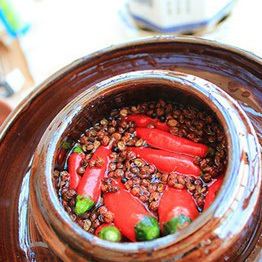 Transfer the water roux (TangZhong Starter) mixture into a clean bowl and cover with plastic wrap and place in fridge at least overnight (I usually use around 1 day). 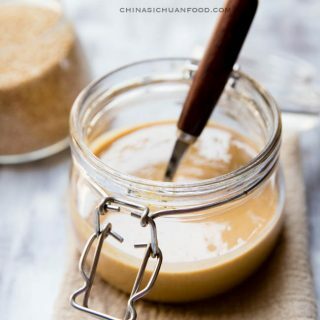 Before making the main dough, move the water roux to room temperature to set reset for around 30 minutes.Add all the ingredients including milk, egg and tangzhong into a breadmaker or a large mixing bowl. Then add the sugar, salt, flour and yeast. Knead the dough for around 10 minutes at slow speed. And add “butter “and continue kneading for another 10 minutes at medium speed. Then set aside and wait for the first proofing. In winter days, we might need hours until the dough is 2 to 2.5 times in size. Divide the dough into 12 to 14 equal portions and round each one.Take one portion out, press down to a round wrapper. Scoop around 1 tablespoon Char Siu pork filling to the center. Seal the bun completely and then turn it over. Repeat the process to assemble all the other buns. Place the well assembled buns on a lined baking tray and now we are ready to the second proofing. In hot summer days, you can cover a plastic wrapper and let the dough rest in room temperature for 40 minutes to 1 hour until almost doubled in size. 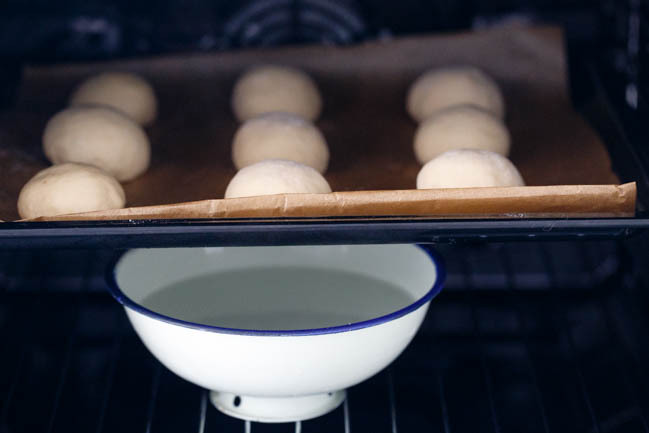 In cold winter days, place the baking tray in your oven with a larger bowl of boiling hot water beneath. This method creates a warm and moist environment, which can speed up the second proofing. Close the oven and let the buns rest for around 30 minutes until they are all doubled in size. Take them out and brushing egg wash and top with roasted white sesame seeds. Preheat the oven to 180 degreeC and bake for 18 to 20 minutes on the middle rack. Then take out and brush a thin layer of butter on surface, which creates a shinning and hardened surface. 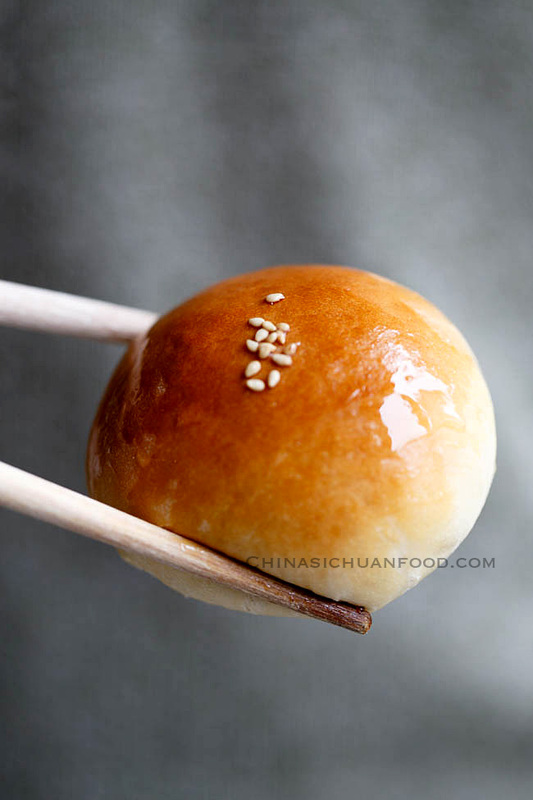 Super soft Tangzhong baked buns with Chinese Char Siu Pork as filling. In a small pan, mix flour with water and then keep stirring over slow fire until the mixture becomes thicker and thicker. And the lines of your spatula will not disappear directly. Remove from heat and cool down. 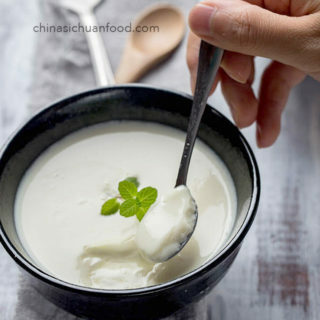 Transfer the water roux (TangZhong Starter) mixture into a clean bowl and cover with plastic wrap and place in fridge at least overnight (I usually use around 2 days). 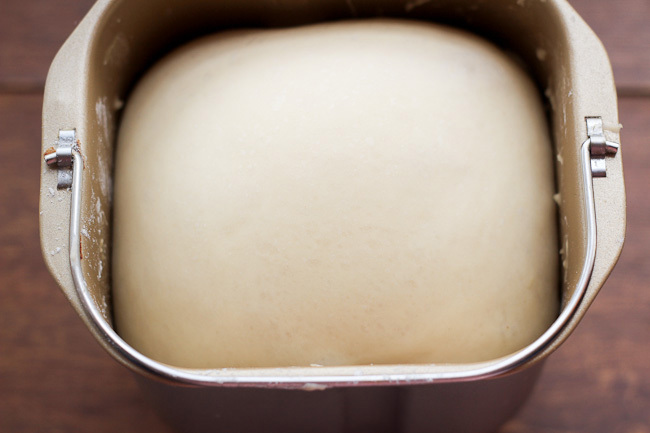 Transfer the dough to a clean-floured operation board and then divide into 8 equal portions. If you plan to make smaller ones, you can choose 12 to 14 portions and round each one. Take one portion out, press down to a round wrapper. Scoop around 1 tablespoon Char Siu pork filling to the center. 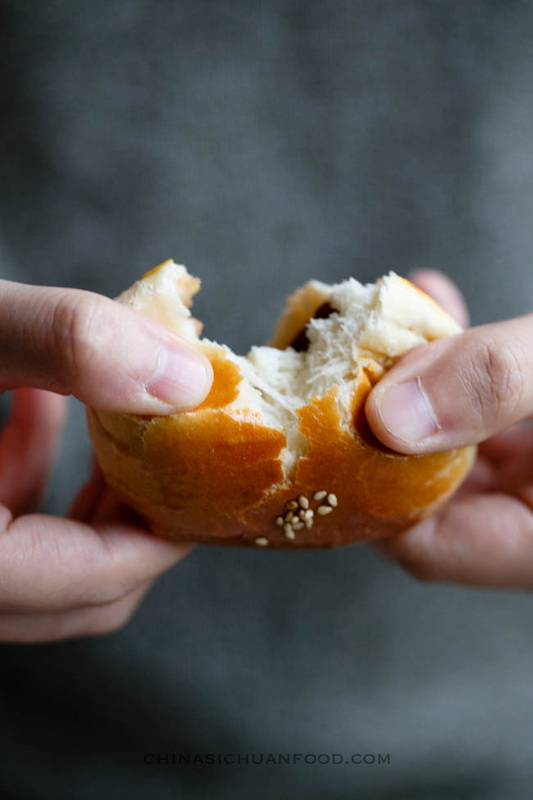 Seal the bun completely and then turn it over. Repeat the process to assemble all the other buns. Set aside for the second proofing until the buns are doubled in size again. 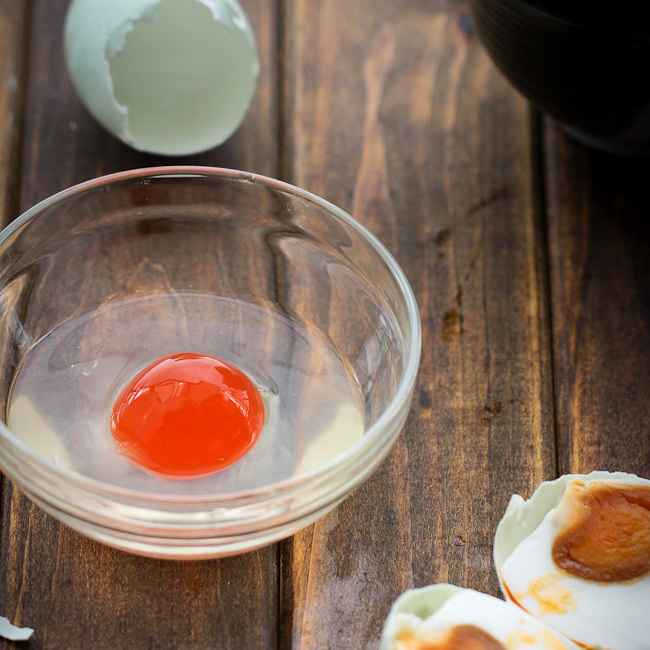 Pre-heat the oven to 180 degree C. Brush egg wash and top with white sesame seeds. Bake for 18 to 20 minutes or until well golden brown colored. (optional) brushing some melt butter and serve after cooling down for several minutes. That’s butter. Thanks for pointing that out. Thanks for stopping by and commenting Nami. My little girl loved the freshly made ones too. She ate up two even after lunch. Hi, the flour for roux is all purpose flour? Yes Leslie, plain flour or all purpose flour is perfectly fine with roux. 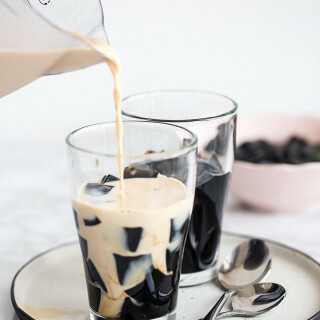 Lovely recipe, it looks really delicious! Where I live they are not familiar with cake flour, we only have normal flour. What we call cake flour is flour with vanilla and lemon extract added. But I don’t think that’s what you mean. 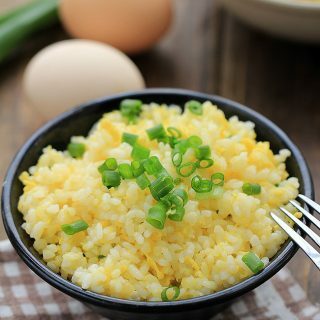 Can I use 低筋面粉／包粉 or can I substitute it with plain flour and add some corn starch. Wish you and your family happy holidays! Thanks for the sweet blessing. Cake flour here actually refers to low gluten flour. And you can use 低筋面粉 along with 高筋面粉 to make the dough. I usually do not add corn starch in baked buns. Is there a special reason for that? But you mean that i have to combine a high gluten flour with a low gluten flour right? Really like your recipes and also a fan of american blogs, but hard to get some of the ingredients. Yes, we usually mix high gluten flour with low gluten flour for many of the Asian soft baked buns or bread. Chinese ingredients may really need time to search and I know that’s a tough task for lots of fans. 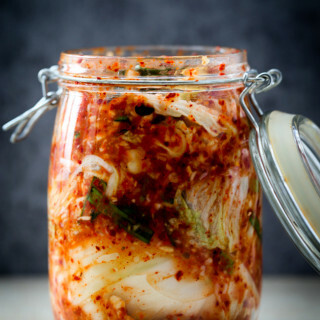 You can try to find some Asian food store for unique ingredients. Still, I believe this situation will become better as we are just in the process of internationalization. I still buy some of the fresh food from Thai, US, Mexico, Korean,Japan and other countries from the import food market in China. Thanks for your quick reply! For recipes that ask for cake flour; i heard from people: 1 cup flour, remove 2 tablespoons of flour and replace it with 2 spoons of cornstarch, to reduce the protien content. Haha, that’s reasonable. I never thought about the protein problem. Next time, I will try out myself. It is a typo. I mean instant yeast. Thanks for your attractive recipes. Salt should go in the dough. The reason why I give 6g salt is I want the bun to be slightly salty than normal buns because we have a savory char siu filling. If it is over salty for you, please slightly reduce to 2-3g next time, just like a moral sweet bun. Elaine, thank you for this recipe. I look forward to trying it. Question (and I mean no disrespect whatsoever in asking): Have you been to Seattle’s Pike Place Market, specifically to Mee Sum Pastry? I lived there almost 30 years ago, and I fell absolutely in love with the BBQ Pork Hom Bows. Is your recipe similar in taste (by photo, they look similar). My health prevents me from traveling to Seattle, so I’m drooling in anticipation of trying yours! I am sorry that I have never been to Seattle’s Pike Place Market but I hope that I can have the chance in the future. I hope this can help you to obtain that yummy taste. 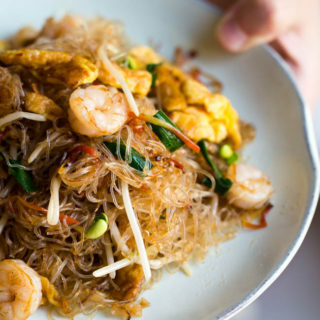 Nice recipe my wife is from Shanghai and they don’t seem to like spicy food there, so many of your recipes are out for us, but this one – very nice. I usually finish them within two days. What is the point of putting the roux in the fridge for a day or two? Does the roux ferment during that time? Otherwise, I can’t understand the need to do that. Can you comment? Thank you so much for sharing your recipes. 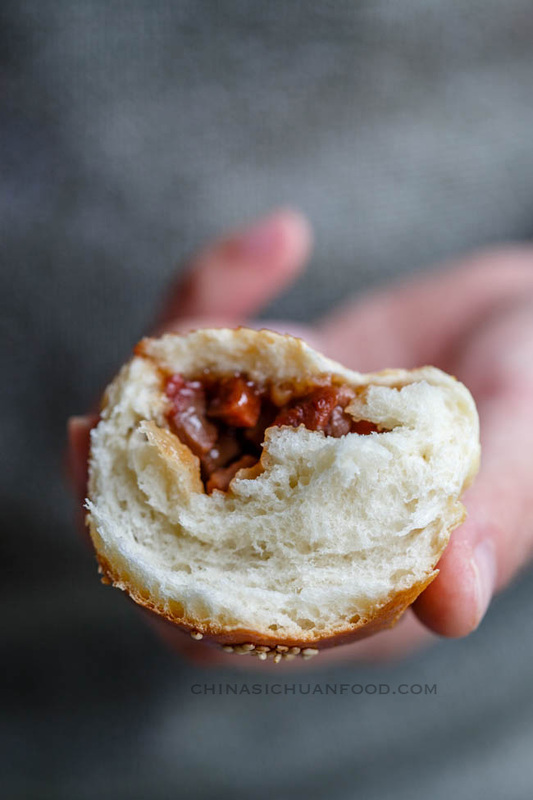 I used to live in Vancouver, BC, Canada where I had easy access to Chinese Curry Beef Buns. They look like the buns in the above pictures. I am hoping you have the recipe. Sadly, we don’t have any Chinese stores in my community so I try to make all my own sauces and sometimes finding sichuan peppers can be challenging. Our stores don’t stock a lot of the sauces and I don’t like to buy stuff online. So I’m trying to remember what they look like and I think your recipes look right. 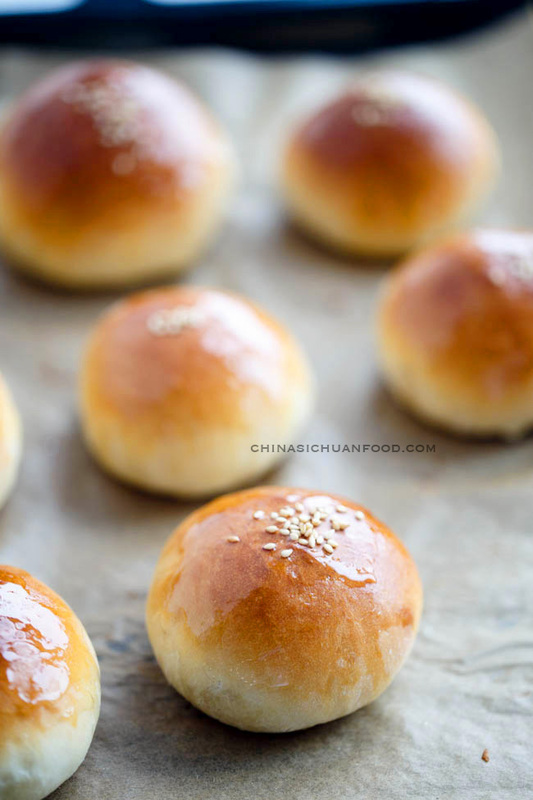 I will be trying them in the near future but I would be soooooo grateful if you could provide me with the recipe to the Chinese Curry Beef Bun recipe. Looking forward to your response. Thank you so much for your help. Curry beef bun is a great suggestion. It is not hard to make one at home. Stay turned, I will bring it on the blog. Elaine, did you ever post the Chinese Curry Beef Bun recipe? Thank you so much. 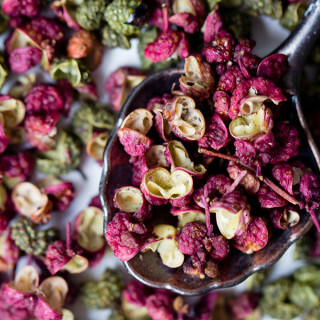 These look lovely, I may try them this weekend. Thanks for sharing! Just to double check, the amount of pork reads as 60g for 12 large buns, is that correct? I noticed that we can put roux and flour ,etc into bread maker . Can we leave the bread maker to do the mixing and leave it there to rise up or prroof. Do we punch the air out after it double in size? Not suggest to use plain flour anyway. You can leave the bread in the mixer for proofing. And yes, before shaping the buns, you need to punch the air out until it doubles in size. This is my favorite dim sum. Super soft baked buns with pork as filling, perfect ! We are great Chinese food lovers! Your recipes are excellent and the photos are beautiful ! Could you tell me which camera do you use? I am shooting with 6D with 50mm and 100mm lens. As long as the roux is well rested (at least 4 hours), it should work fine. Thank you for sharing your recipe! I have a question regarding the bread flour and cake flour. Does it have any other names? I’m not quite sure what to look for at the Asian markets. I love these buns and would like to try and make them. Bread flour is also called high gluten flour “高粉” or “高筋面粉”. Cake flour is also called low gluten flour “低粉” or “低筋面粉”. I hope this explanation helps.